It’s OK, we think about these things to. While we have yet to figure out the secret to reverse aging, we think we may have just the thing to bring a little extra TLC to your life: this Adult Baby Costume. You may be a grown up who does taxes and has a 401K, but that doesn’t mean you can’t indulge your infantile side. Show everyone at the party just what a big and funny baby you can be and watch as the cuddles, sweets, and maybe even a push in a stroller (or at least a lift home in your friend’s car) come cooing your way. While the teddy bear, giant baby bottle, and pacifier accessories shown in the photo are sold separately--don’t cry--you should get them to complete your comical baby look. Here, here, look here! Don’t cry. See? 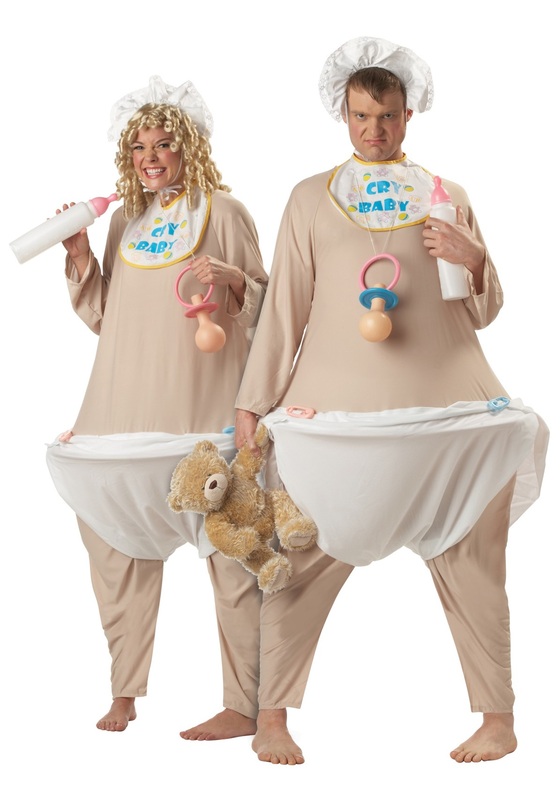 This ensemble includes a bib, bonnet, and a bodysuit with a built-in wire hoop. It’s a look that can be worn by either men or women, and one size fits most. If that’s not something to giggle in an insanely cute way at, well, we don’t know what is.